Trying to find a versatile SUV that’s perfect for your Carlsbad commute as well as San Marcos adventures. 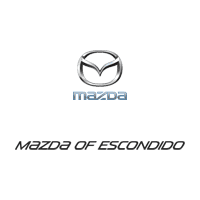 Explore the new Mazda CX-3 for sale in Escondido. You’ll have your pick of high-performance AWD Mazda CX-3 renditions, in addition to all of the latest Mazda technologies like SKYACTIV® TECHNOLOGY and MAZDA CONNECT™. Explore our Mazda crossover and SUV inventory in person, before visiting us to take a test drive at your convenience. Why Choose a New Mazda CX-3? No matter your taste, you can find a Mazda CX-3 for sale in our inventory that ticks every box. From a classic black Mazda CX-3 to a flashy red exterior option, you can find the CX-3 color and configuration that works for you. And before you buy, be sure to explore our new Mazda deals online! It’s our goal to get you behind the wheel of your dream Mazda for the best price available.